I've seen some interest in homebrewing on this site, and thought it might be fun to put together a "beginner's guide to homebrewing" for anyone interested in dipping their toe in the waters and maybe brewing up some fab summer beers. 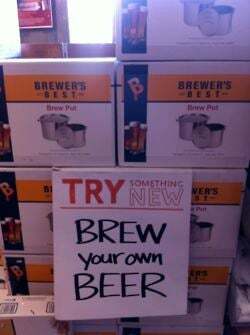 Homebrewing is great if you're looking for a hobby - and I guarantee it'll make you friends b/c hey, it means you're the friend that always has some beer around. And even if you screw up and your beer doesn't taste like store-bought- it's still beer, and therefore great. 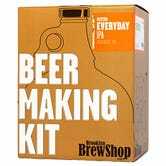 -Brewing kit: I recommend this one (or the equivalent). This has pretty much everything you'll need to make a fantastic batch of beer. -Clean brown glass beer bottles made for pull-off (not twist-off) caps- this can be fun, since the best way to get empty beer bottles is...to drink some beer! Green bottles are ok, but not preferred. Clear bottles (such as corona bottles) are not recommended as they can lead to too much sunlight skunking up your beer. My favorites are Smithwicks bottles, b/c the labels come off really easily. 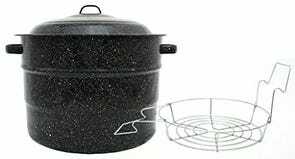 - a big brew pot that can hold at least 5 gallons. This one works fine for beginners, although you may want to upgrade later. 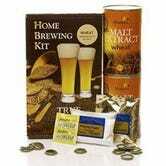 -an "extract" or "partial-mash" beer kit (like this). Before choosing the style of beer you'd like to make, consult this chart. Pick a style & corresponding yeast that matches the temperature you'll ferment your beer at. For instance, if you plan to ferment the beer in a dark kitchen pantry, figure out the usual temperature of your pantry and choose a style that works best at that temperature. 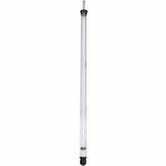 -Sanitizer (likely included with your brew kit - but I also recommend star-san b/c it doesn't require re-rinsing your sterilized equipment. Just dip your equipment in the sanitizer, dry it, and you're done). -a kitchen with a stove - and for New Yorkers, don't worry if you have a tiny one. Tiny kitchens are like sonnets- you get more creative with constraints! Once you've got all your equipment together, it's as simple as following the instructions included with the kit. As with any recipe, make sure to sit down and really read through it first, making sure you have all the equipment and ingredients needed before you start. There's nothing worse that being mostly done with a 5-gallon batch and realizing you're out of sanitizer! -Cleanliness is key. For anyone that's worked in food service, remember how you'd have separate cutting boards for the meat and the veg? Or for anyone that's kept a kosher kitchen - it's similar. Once you hit the parts of the process where sanitizationis necessary, you'll want to establish a "clean zone" where non-sterile items (including bare, unsanitized fingers) are verboten. I like to pre-sanitize my sink and counters, so I can just dump stuff there without worrying about contamination. It's also good to have a spray-bottle of sanitizer made up to have on hand for emergencies. 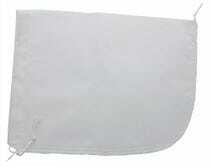 -Prep your yeast before you start to brew. By the time you get around to adding your yeast, you want that yeast to be as happy, active and excited as possible about getting to their work of turning sugar into wonderful, wonderful alcohol. The internet has tons of sources on how to best prep your yeast - in homebrewing, as in life, Google is your friend. - Temperature control is important. Once you've made up your batch of wort ("wort" is the beer liquid before it ferments into beer) you'll want to store your beer in a dark, temperature-controlled place. Sun and temperature fluctuations aren't great for yeast. Since, as a homebrewer, you're essentially a yeast farmer (really!) you'll want to do whatever you can to keep the yeastie beasties happy. -Support your local homebrew store. While most things can be gotten off Amazon, it's a great idea to go down to your local homebrew store and develop a relationship. You don't have to buy everything there, but if you drop in semi-frequently they'll get to know you and can provide invaluable advice. Special shout out to my local HBS - Brooklyn Homebrew, who has bailed me out of several sticky brewing dilemmas.